For lots of kids, tweens and teens, Minecraft is a big part of their life. They spend hours building amazing worlds and interacting with their friends. To those who don't play Minecraft themselves it can be a bit of a mystery. We've put together a list of our favourite gift ideas along with some tips that will help you sound like you understand a bit about the gift you have chosen! In Minecraft you build worlds from blocks. This animation studio takes this concept into the physical world. 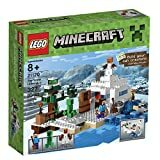 You get blocks, mini-figures and scenery that can be used to build animation sets. You can also add more Minecraft mini-figures to the Studio to extend it. There's a free Minecraft Animation Studio app that goes with the set. It works with most recent iOS or Android tablets and phones. You use the app to take pictures of the set and then it gets turned into a video using a technique called stop motion animation. Creating stop motion animation movies is very popular with the same age group as Minecraft so this works really well. 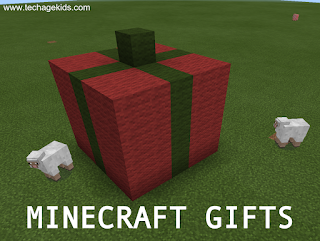 For another creative gift idea, check out the Minecraft papercraft kit which we have reviewed previously. Adventures in Minecraft is a fab book to encourage kids to use their interest in Minecraft to learn more about computing. Kids will learn to code in a useful programming language called Python to create their own 'mods'. Mods are modifications or extensions to Minecraft that add new behaviour. Being able to create your own mods is very cool. Kids will need Minecraft on a PC or Mac (a desktop or laptop computer) to make the most of this though some coding can also be done on a Raspberry Pi. Learning to write code is a really useful skill and writing mods for Minecraft is a fantastic motivator. Minecraft, as you might have guessed, involves mining. You often find yourself underground in caves where it's dark. Torches are therefore commonplace and rather useful items. Redstone is the power source in Minecraft, it can be used to drive cool contraptions. 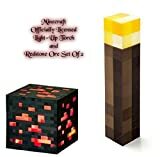 This set includes a light-up torch which can be wall-mounted or put on a table and a light-up redstore ore cube which lights up when it's tapped. Minecraft fans will love these lights. 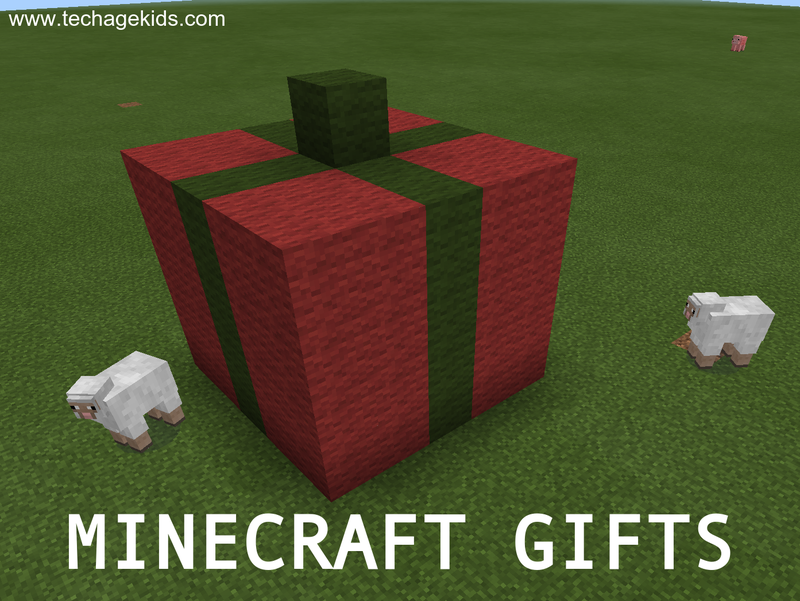 They're a great choice for older Minecraft fans who aren't so interested in toys any more. This Minecraft Card Game is another great idea for dragging fans away from their computer screens for a while. The game can be played with 2-4 players so it's good for getting kids to share their interest with the family. It's a turn-based strategy card game where the tasks you need to complete are based on activities in Minecraft. Elbrie bought this as a gift for a child and it was a big hit. 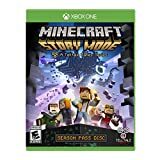 Minecraft Story Mode is a new addition to the brand this year. This isn't the game, instead it's an interactive adventure story set in the same world. You'll need to make sure you pick the right version for the games console that the recipient has. Also note that this title has a 12+ rating and has some language that won't be suitable for young children. Story Mode is an episodic game so buying it means you get the first episode on the disc and then a further four episodes will be available to download when they become available. The first 3 episodes will be available by Christmas 2015.